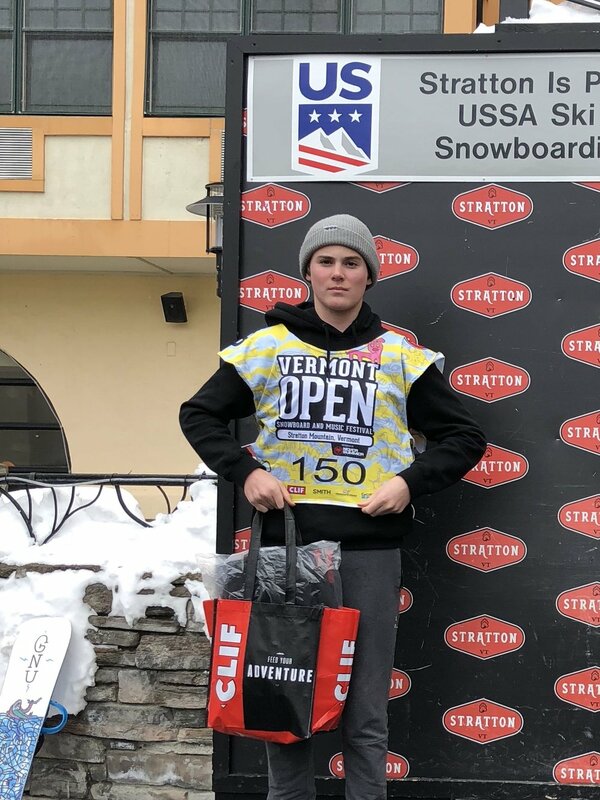 The Okemo Mountain School Snowboard Team competed at the Vermont Open at Stratton Mountain on Sunday, March 11th. For the girls, Maggie Hall took home the Gold Medal in the 14 and over girls division and for the boys, Otto Lichtensteiger took Silver in the 13 and under boys division, both in the Banked Slalom event. Out student-athletes just keep on doing amazing things on the slopes!